Washington, DC - They say beauty is in the eye of the beholder. Well, everyone at the Washington Humane Society - Washington Animal Rescue League who has met little Eve agrees she is indeed beautiful…despite her mangled ears. 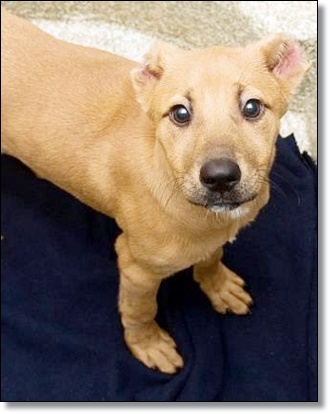 At only four months old, this little shepherd mix was the victim of the cruel practice of home ear cropping, often performed without anesthesia in an unsterile environment. Not surprisingly, Eve’s ears were infected when she arrived at an Alabama shelter. But thanks to good medical care, she has recovered and faces a bright future. Eve is a bit timid—who can blame her—but very, very sweet! She’ll wiggle right over and climb in your lap for cuddles and even give gentle little kisses in return. She’d love nothing better than a loving home with patient people who will show her that the world truly can be her Garden of Eden. 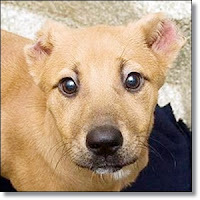 Eve will be available for adoption later this week at the WHS-WARL Oglethorpe Adoption Center. To learn more about Eve, Click HERE.